Secrets to permanent weight loss: emotional eating or mindfulness? We are in a national obesity epidemic! Obesity is associated with serious diseases such as heart disease, cancer, and especially diabetes. Tired of Yo-Yo Dieting? Stop the Roller Coaster Cycle of Dieting!! 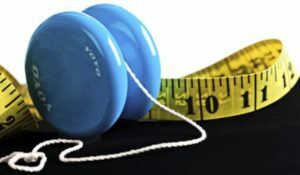 Have you ever tried to stop the cycle of yo-yo dieting? Do you feel like you’re on a roller coaster, having struggled, spent time and money again and again in various weight loss programs to lose weight only to put it back on adding more pounds? This is the 1st of a series of posts offering helpful tips for Permanent Weight Loss. The Dangers of going Mindless. Do you find yourself stuffing food into your mouth without thinking about what you are doing? Not even noticing what type of food you are eating? This is what I refer to as Mindless Eating. Going unconscious is deadly if you are trying to lose weight. It will sabotage your hard efforts to reach your goal. There are times when you may be more likely to eat mindlessly. Many people find that evenings can be challenging. When watching TV they “space out” and shove junk food into their mouth without thinking about what they are doing. If you are one of those people, after a while you may find you have gained back any weight you struggled to lose and may even weigh more than before. This can cause you to feel like a failure and become depressed. When depressed you may find you are putting on even more weight! The yo-yo cycle is harmful to your health and well-being. It is a sure way to spoil your weight loss program. To stop this cycle you need to know what events trigger you to eat mindlessly. Also, it is very important to learn healthy ways to handle your feelings instead of eating out of control. By following these tips, you are taking the first steps to stop the roller coaster. Follow the Tips below to begin to take charge of your eating. Keep a daily journal. It doesn’t need to take a lot of time. Let it become a regular daily habit. As you write, look for specific times of the day when you seem more likely to go mindless and eat out of control. 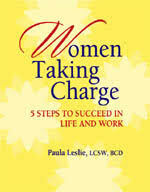 By doing this regularly you will begin to notice a pattern to your behavior. Visualize. Spend a few minutes each morning before getting out of bed to write your weight loss goals in your journal. Then imagine how you will look when you reach the desired weight. Create a picture in your mind showing as many details as possible., for example what clothes you are wearing, etc. By visualizing you are programming your mind to focus on your goal. This will help you stay on course for mindful eating. For more tips and help achieving permanent weight loss, contact me today. Give me a call, or just fill out the contact form and click Send.